Dana Rubin is one of the most attentive and enthusiastic hosts I have ever had the pleasure to associate with. She treats her clients with such a friendly and professional maner. She is always ready to get your travel plans arranged and scheduled so that all you have to do is…show up. I truly appreciate all the reservations she has organized for me and my family …I even email her on Sundays…and she always gets right back to me. She is a delight. I know once I contact Dana…… my trip will be just perfect! Dana booked a trip for my family to the Atlantis. she was amazing. Dana planned every part of the trip. This left me more time to enjoy the experience with my kids. I will absolutely keep using her and recommend her to my family and friends. Thanks for a great trip. Thanks very much for the great service. I called Dana up, gave her my dates of travel and she took care of all the rest. AWESOME SERVICE! Has helped our group and myself many times during the years. Saves me trying to survey all the sites and compare. I have been working with Dana Rubin for over 10 years, and she always gives me 100 percent satisfaction when scheduling my trips to Las Vegas. She has returned my calls if she was not immediately available within a short time, and made the necessary arrangements for casino accommodations to my requested schedule. Dana also made a follow up call after I returned from my trip to see if everything went well with the accommodations. I have highly recommended Dana Rubin to my friends. I was flying to Vegas for the weekend and as I was getting ready to board my connection I called Dana and told her I was on my way to Vegas and I needed a hotel. She asked, “When are you going?” I said, “I’ll be there in 3 hours.” She laughed and said she was on vacation with her husband, but if I gave 10 minutes she would call me back. She called and said, “Have you ever stayed at Planet Hollywood”? I said “no, I don’t want to stay there.” She said, “trust me”. I said “ok” and she was right I had a blast. I went back 2 weeks later and said I won’t stay anywhere else. Since then I’ve convinced my two good friends to give PH a try. They said the same thing to me as I said to Dana…now we are all hooked on PH and Dana Rubin. Dana is very well versed in casino services and I would recommend her to anyone planning a trip to any of the popular casino destinations. We used Dana to book travel for ten people to the Atlantis in the Bahamas. 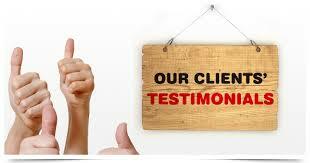 It was a wonderful experience and everyone marveled at the ease of their booking. If you are planning a trip to any of the casino destinations, Dana should be your first call to check prices, availability and incentives your destination hotel may be offering. I think that Dana Rubin Casino Services is courteous, fast and she always tries to get you the best deal. Our experience has been wonderful. Dana takes take the stress out of planning a trip and she even helps you with reservations to restaurants at the hotel and so much more. We are glad we found you! 10+ years of excellent service. Always prompt in booking any package or trip I ask for. Always suggesting any better options. Thanks for your services! I’ve been using Dana’s services for a long time for Vegas trips and New Orleans trips… Fantastic service really appreciate you taking such good care of me for a long time…It’s a pleasure not having to worry about the small details that she covers so well… Thank You for such a first class operation!! Dana provides excellent service every time. She is easy to work with, organized and on task. Dana always gets us the best rates. She even makes our dinner reservations! We don’t like to travel without her help! Dana Rubin has arranged trips to Las Vegas for me and about seven or eight others each year for at least the last 10 years…Her service, attention to detail and rates are all outstanding. We have had “annual guy’s trips” with groups of 7-9 guys, bachelor parties with many more people and even a golf trip with 40+ people. She has also made arrangements (rooms, dinner reservations, show tickets, etc.) for many of us when it was just for two people. I highly recommend Dana to anyone interested in first class service at great values. It was a great vacation! We really enjoyed every aspect of the resort. The water slides were fun for my kids and for us as well. The rapids and the serpent were our absolute favorites. The kids club was superb, and the kids were eager to go back, allowing us to enjoy leisurely dinners. The staff at the kids club were the best staff at the entire resort. And every night we walked through the dig, which the kids loved. We ordered food from the food store you highlighted. The delivery worked perfectly. I wanted to take a few minutes to write about my experience with Dana Rubin (Casino Services). I had heard from a friend that she was able to secure rooms at a very favorable rate not only in Las Vegas but in the Bahamas as well. Thus, I reached out to Dana to inquire about vacationing at the Atlantis Resort for Spring Break 2014. Not only was she able to get us in at rates about 50% off of “rack”, but her service and response times were beyond instant. I have NEVER worked with a service provider so on top of her game! She obviously cares so much about doing a good job and making sure her clients are taken care of, you would think we were her only clients, and I know that isnt the case. My hope is that we will be able to use her services numerous times moving forward. I wanted to thank you for booking our amazing trip to Atlantis. Everything was perfect and we had an amazing vacation. Our room in The Royal Tower west was exactly what we were looking for and all of the dinner reservations you booked for us were great. Thank you again for all your help, suggestions and advise. We look forward to booking with you again and will definitely recommend you to all of our friends. I wanted to let you know what a fabulous time we had at the Atlantis. It was such a wonderful time for us moms to share this travel experience with our sons. We loved the weather, the slides, and the food was outstanding. The hotel was great for the kids. We let them wonder off and enjoy it. They loved hanging in the racing room as well as the game room. The Atlantis had it all for us. We hope to go back as a family soon. I will be in touch…thanks for the great room rates…can’t beat it! We are getting ready to have Dana book another Atlantis trip for us and I am reflecting back on the first one. Dana did a fantastic job recommending which hotel location would be the best for our needs, which restaurants to go to and various tips she gave us to save us time and money once we were there. Can’t wait to utilize Dana’s experience and great service again!! I highly recommend using Dana to book your Atlantis vacation! Dana has helped me with Las Vegas stays for at least a dozen years. She is the “one and done” call. She will find the best deal that fits for you whether you are a single, couple, or rowdy group. She knows the city and the people to know and will get it done for you. Don’t even bother with anyone else. Hi Dana – We had a great time at the Atlantis. The rooms were great and the service was excellent as well. The activities – especially the interactive dolphin experience – were perfect for the kids and adults. Pools were great. Shallow ones for the kids and bigger ones for the adults. Property was immense but not too crowded. Great idea to use food to go on line because it saved us a ton on soft drinks, snacks and food for the kids. The casino was fun. We went twice and it was like Las Vegas! All in all, five days was perfect and we all enjoyed it. Great family vacation. Would highly recommend it. Thanks for all your help Dana. Thank you very much for the arrangements. You did an awesome job on the reservations and recommendations!! The room was very nice, and service was great! My son had a great time in the water park and never wanted to leave!! As far as restaurants I enjoyed them all, but I would say my favorite was actually the Bahamian Club. Carmines was also exceptional for a casual restaurant. I would also note that when I visited there for the day many years ago the casino play at the craps table very slow. I was pleasantly surprised that this is no longer the case, and it was just like being in Vegas BUT having the ocean. We cannot wait to go back to the Atlantis and will only book with Dana Rubin Casino Services.